This week’s sounds are: ‘nk’ ‘cks’ ‘dge’ and ‘tch’. This completes the second stage of Floppy’s phonics. The last few sounds are slightly trickier to learn and so we will be revising these sounds often to ensure we have grasped them. The children are still revising the ‘ch’ ‘sh’ and ‘th’ sounds as they are commonly sounds that prove more challenging. The children have been learning about the ‘th’ sound in particularly as they need to know that it actually makes two sounds. The card we learn says ‘this thumb’ as it can be ‘th’ (pronounced like the word ‘the’) as in words such as ‘that’, ‘this’ and ‘them’. And then the ‘th’ sound can be a softer sound where you place your tongue on your top teeth and say words such as ‘thin’, ‘think’ and ‘moth’. This week we have also been revising the Red Words and so far we have learnt ‘he’, ‘she’, ‘we’, ‘me’, ‘be’, ‘was’, ‘you’, ‘they’, ‘all’, ‘are’, ‘my’ and ‘her’. This week we have continued to do some writing in our handwriting books. This week’s ‘family of letters’ were: ‘r’, ‘m’, ‘n’, ‘h’ and ‘k’. A handout of how we form these letters will be provided for you at the parent meeting if the children wish to do any writing at home. This week we have continued to work in small groups and done phonics based activities such as: Blending words, loop card games, sound mats and phoneme frames. 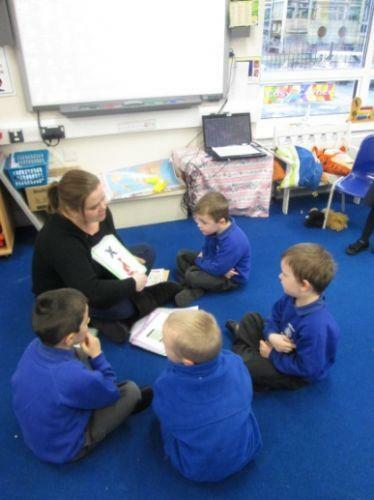 We have continued to work hard at guided reading activities where we share a book with a small group of children and an adult guides us through. If we have done this in school a sticker will be put in the child’s reading record book. Some of us have been learning about fiction and non-fiction texts and what the difference is. This week we have continued to start our lessons with rote counting up to 100 and counting in 2s which is becoming very strong. The new topic introduce this week was addition and we learnt about the different mathematical language we can use for adding numbers together such as add, plus, more, together and total. We have started to look at how we can add numbers together using our fingers as a learning tool. A trick Mrs Turrall taught us to make sure we carefully count up our numbers when working out the sum was to touch our nose with our fingers and it really helped! We played some games on the interactive smartboard to help us with addition number sentences. We will continue to learn about addition next week. In PE this week we have been playing team games and learning how to cooperate as a team and work together and encourage one another. In the team games we had to do some relay and practise some skills such as balancing on our head, walking with an object in our hand and running and jumping. We have also been doing a lot of work with scissors to practise our cutting skills. We have been getting very creative in the art area and have been learning how to use the scissors properly and safely. Here we are testing out our cutting. This week we have continued to look at our topic of ‘Let’s Travel!’ On Tuesday we thought about all the different transport we get and how many we have been on. We then sorted out pictures of all the transport that can travel on land, sea and in the air. We looked at Barnaby Bear on CBeebies and the countries he has travelled to. One of them was Paris in France so we invited our French Club members to come to the front and teach us all some French! We learnt how to say ‘hello’ which was ‘bonjour’ and then we had a go at counting up to 10 in French which was fun. We read a book about a travelling bear called Jeremy and he visited lots of places around the world, going on different forms of transport including an aeroplane, a hovercraft and a helicopter. In the book we found out the Jeremy Bear belonged to a class of children and he taught them all about his travels. This lead on to something very exciting indeed as we have a bear in the class that looks a bit like Barnaby Bear and we started to wonder what if our bear wanted to travel? The children instantly became inspired and they wanted to take the bear to all the things they do out of school. We quickly had a vote on what we should call our bear and we decided upon Barney. So Barney Bear is now very excited about going home with the children from Ash! He has been told he is going to football, the park and the supermarket! All we need now is some willing parents who would like to take Barney under their protective wings and allow the children to show Barney some of these exciting things! If you would like to sign up to take Barney, there is a sign out sheet in the classroom. 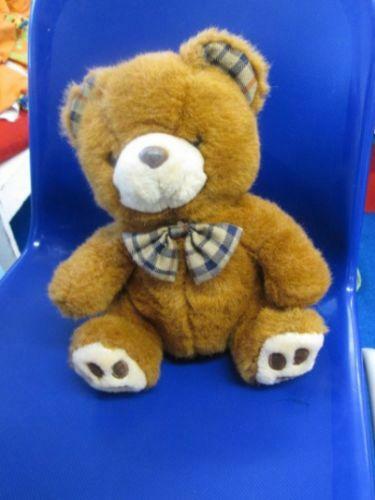 Barney Bear comes equipped with a Log Book so the children can put some photographs and some writing in the book to share their adventures with Barney to the rest of the class. Here is a picture of our new travelling friend Barney.